During the Skin Script Ultrasound Facial, Molly uses the Multi-function Machine. Clients often ask what this system can do for their skin & why she suggests the Ultrasound Facial. So I hope the information below helps you understand why using Sonopheresis is so beneficial to your facial treatments. The skin is very affective at providing a barrier from external compounds, mainly through lipids (oils) between skin cells. These lipids work so well that in many cases only a fraction of skin care ingredients we apply ever enter the skin. Sonophoresis works by temporarily disrupting the lipid barrier using ultrasound vibrations providing intense transdermal delivery, about a thousand times more effective than a facial massage. This allows products and vitamins selected to suit your skin condition to be pushed into the dermis (deeper layers of the skin) where they are more effective in treating acne, pigmentation, aging and improving the skin’s overall appearance. Sonophoresis is the best known method when used in conjunction with chemical peels, to accelerate the treatment of stubborn deep pigmentation. The application and penetration of vitamins assists in lightening abnormal skin pigmentation and helps plump the dermal layer with new collagen which fills out and tightens fine lines and wrinkles and firms the skin. 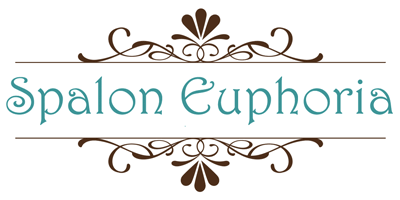 That’s why at Spa-lon Euphoria, Molly uses the Cosmeceutical skincare range, “Skin Script” and then increase its benefits with deep penetration using the Sonopheresis system. If you are serious about your skin, then ask Molly to discuss a Skin Script skincare plan especially to suit your needs. When you have your legs waxed, it’s not the end of the story, to keep your legs looking great and make the most of your waxing treatment, then have a read of our advice on your aftercare... To prevent ingrown hairs: starting a few days after your appointment, gently scrub the skin 3 times a week in the bath or shower using exfoliating mitts, or apply a product specifically designed to help remove dead skin from the surface, such as “Get the Bump Outta Here” $19.59. Moisturize the area every day, which will keep the skin supple and help new hairs to grow through normally. You may notice a small amount of regrowth after a week or so. It can take up to 4 treatments for your hair to get on a growth cycle that gives the best results. Hair needs to be at least 1/4 inch long before it can be successfully removed by waxing; please do not shave between your appointments. To maintain your smooth appearance, we recommend regular waxing every 4 weeks. Are you too lazy to Remove Your Makeup Before Bed? This Real Life story WILL change that. This is the story of Anna Pursglove a writer for the Daily Mail who used herself as a real life guinea pig with scary results. She proved what we have been telling clients for years... The picture shows Anna Pursglove, 40, a run-ragged working mom and writer for the Daily Mail (aren't we all run ragged some how!) and one of the estimated two-thirds of ladies that DO NOT generally make time to remove their makeup before bed! 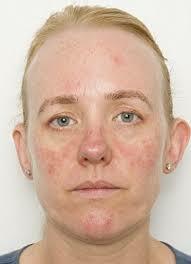 Anna decided to go an entire month without thoroughly cleansing her skin at night before bed. Sound familiar? (Don’t panic if this is you, Molly’s tip for the simplest way to overcome the hassle of taking your makeup off before bed is below). What happened? Well your Mom was right; as is every beauty therapist you have ever seen who has said “take your makeup off before bed,” because guess what? It does make a difference. After only one month of not removing her makeup before bed Anna’s skin changed dramatically. Her pores were noticeably larger, her skin was redder and incredibly dry, and she had increased pigmentation, broken veins and more wrinkles. 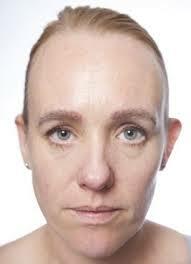 All confirmed by a cosmetic imaging studio where her face was mapped in 3D before and after her experiment. The most shocking thing was that doctors evaluated that her skin had biologically aged by a decade more than before her no-cleansing experiment. The good and the worse news... The good news is that the short term experiment that Anna conducted and the damage to her skin can be reversed. However, long term avoidance of cleansing while continuing to wear makeup will be detrimental to your skin. The biggest issue being the accumulation of environmental pollutants, which drive the production of free radicals, which contribute to the destruction of your collagen and elastin network. So if you haven't been removing your makeup at night, isn't it about time you started?! Now for Molly’s tip that we promised… DO NOT remove your makeup before bed… If you are leaving it till just before you climb into bed to cleanse your face then chances are it won’t happen. As soon as you walk in the door after work or after picking up the kids, throw your keys on the table and get yourself to the bathroom. NOW is the time to perform your cleanse and night time routine! 2. It is essential that you remove your makeup before bed, as not removing it will damage your skin. 3. Makeup doesn't just “sit” on your skin but is absorbed to a degree by your skin, so you must choose makeup that contains ingredients known to benefit your skin and not harm it. 4. Makeup should not be something you choose lightly, as the makeup you choose determines what your skin looks like when you are not wearing make up! 5. Ensure that your makeup does not contain harsh chemicals, parabens, SLS/SLES, propylene glycol, synthetic dyes or fragrances as they are ingredients that can damage your skin. If not removing your makeup for just a month can cause problems like in this picture in your skin, it makes you wonder. What is in makeup doesn't it? So If There Was An Alternative To Nasty Makeup, You Would Use It Right? Well, Now There Is. The First True Mineral Makeup Is Here At SPA-LON EUPHORIA. INTRODUCING... Jane Iredale GLOW TIME® FULL COVERAGE MINERAL BB CREAM Jane Iredale 1st true mineral makeup range is here. I t is makeup like you have never experienced before. I t contains scientifically proven ingredients to PREVENT premature skin aging PROTECT and PERFECT your skin while providing a flawless mineral coverage. Imagine your makeup actually preventing premature aging of your skin whilst you’re wearing it. Other brands cause damage and aging of the skin, not Jane Iredale Glow Time BB Cream. Finally a makeup that’s good for your skin. PLUS it’s not tested on animals and contains NO harsh chemicals, no parabens, no SLS/SLES, no mineral oil, no synthetic dyes and no fragrances. It’s so much more than a makeup and you can experience this revolutionary product right here at Spa-lon Euphoria. Jane Iredale GLOW TIME® FULL COVERAGE MINERAL BB CREAM For if you want a liquid foundation that gives you flawless coverage without the need for a finishing powder (but you can put a powder over it if you choose!). In 8 different shades that perfectly blend with your skin tone. Purchase both the BB Cream and a Mineral Powder this month and receive a FREE Jane Iredale PUREMOIST LIP COLOUR valued at $20 Only while stocks last. Cannot be used in conjunction with any other offer. Not sure what colour foundation is best for you? Book a complimentary trial where we help you choose which type of foundation is best for you as well as colour matching your skin. Reveal Your Inner Goddess This Summer! Get traffic-stopping, beautiful & healthy looking skin with Spa-lon Euphoria’s exclusive Inner Goddess package. So good all your friends will demand to know your secret! You can get the following summer indulgences - usually worth $174, for only $99! That’s $174 of value for only $99! HURRY! Only 22 packages available! Call NOW 802 370-9673 to Reserve Yours! Are Your Hands Showing Your Age? There are many solutions to keeping your hands looking smooth and younger. Start with regular manicures, which exfoliate and hydrate your skin. To rid your hands of unsightly brown spots, talk to us about home applications and professional treatments. Help relieve your feelings of stress with a seasonal spa manicure that includes a fragrant hand wash and hot towel treatment, followed by a scentuous massage that will melt away tension while moisturizing hands and arms. That’s $84 of value for only $45! HURRY! Only 10 packages available! Call NOW 802 370-9673 to Reserve Yours! "You Are About To Discover How To Get Beauty Treatments At Prices Other Spas Never Wanted You To Know About..."
"FREE $10 Gift Voucher. Click here to claim YOURS now..."